As you already know, I’m having a lot of dental work done in South Bend, WA. It’s a 35-mile trip from Westport, but what a beautiful stretch of roadway it is! 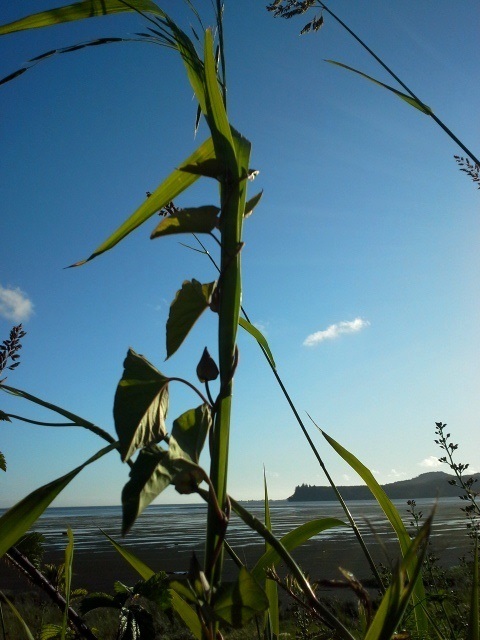 I’ve shared many of my photos of the plants and other wild things along the way, but not many of the bay itself. Once I pass the tiny towns of Grayland, North Cove and Tokeland, there is a long winding road that dips inland in a few places, but mostly runs parallel with the shoreline of the bay. Please enjoy these few evening shots along the bay, and indulge me in a few more morning glory photos. I just can’t get enough of their simple beauty. Taken with my phone camera 2 days ago. Six photos in the slide show. Purple vetch and Morning Glory bud. Sunset light through budding flower.